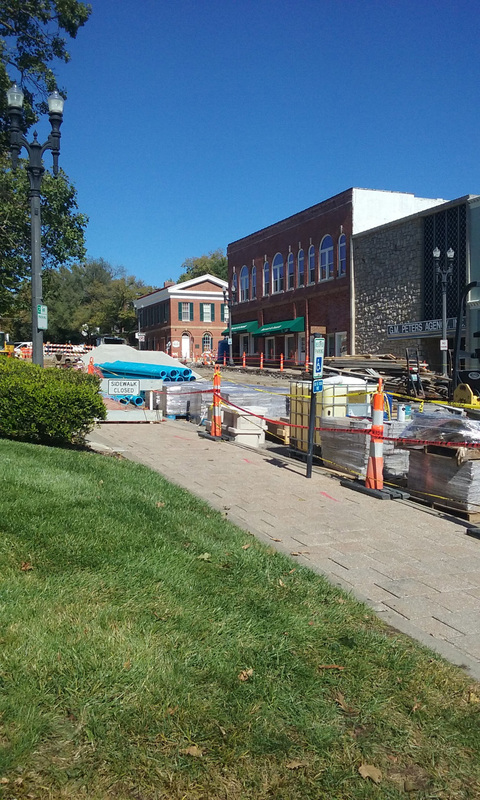 What’s Happening on the Square? 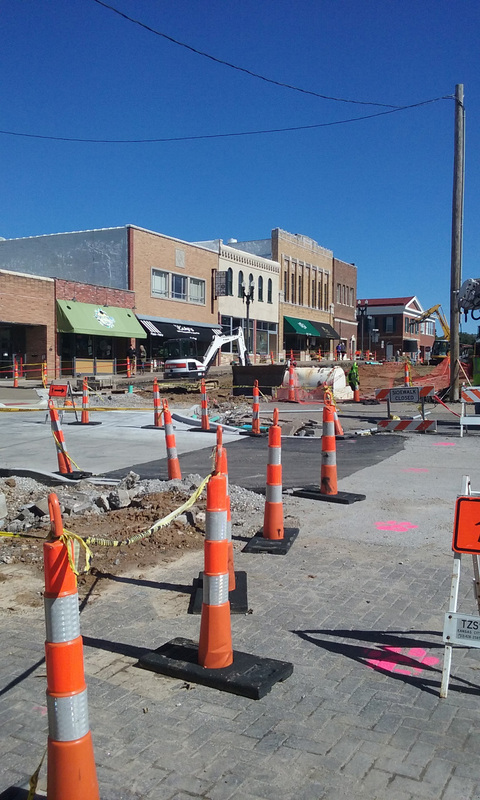 If you’ve been in downtown Liberty in the last six months or so, you know it’s not easy to navigate with the infrastructure work and the closed area due to the May collapse. But, progress is definitely being made. At A3G Architects, we like to spread good news, so here’s the “down-low” on both projects. 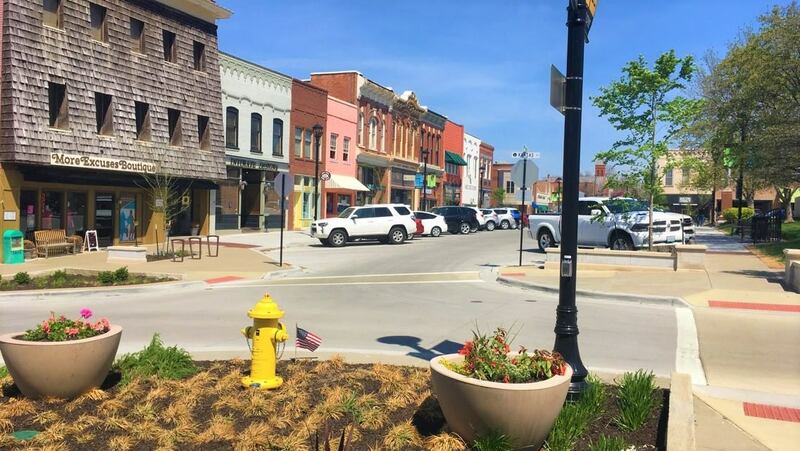 The improvements to the square will address accessibility, aesthetics and outdoor options for the shops and restaurants. New, more efficient LED lighting will increase visibility, and widened sidewalks will allow for outdoor café seating and sidewalk sales. 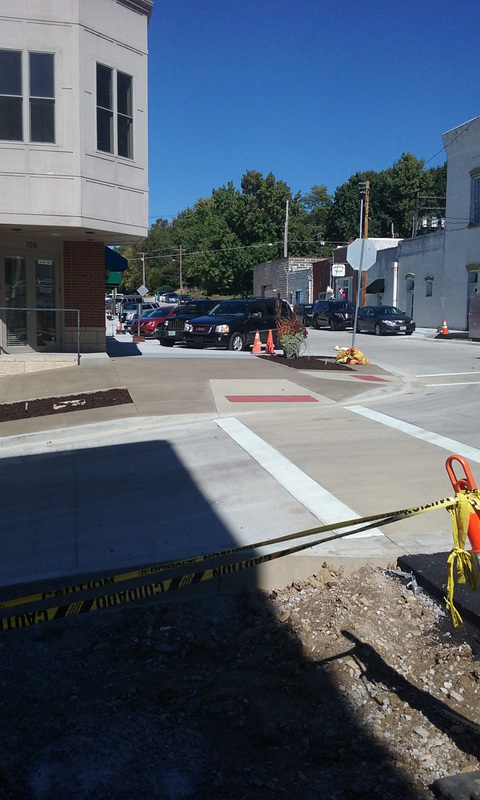 In addition to new seating and planters, trees will provide shade and soften the landscape. Yet another benefit is that traffic will be calmer due to the narrowed intersections. As far as the corner of Kansas and Water is concerned, it may not “look like” progress is being made, but we assure you it is. It’s just that many parties are involved, and a lot of steps need to be taken before any visible progress can begin. One of those steps will be to demolish 5 N. Water due to safety issues. 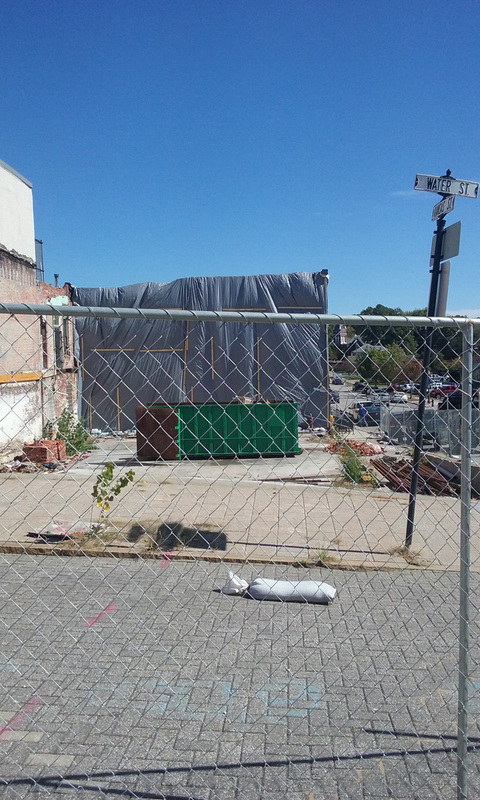 Once finished, the corner will have a mixed-use building that will fit the historic character of the square, while offering modern amenities and full handicap accessibility. So, clearly there’s a lot of work to be done, but it is all underway! And, as a downtown business, please know that the continued support we, and others, have experienced is really appreciated.